The picturesque Franschhoek in the Cape Winelands is home to many a blend of fine wine. 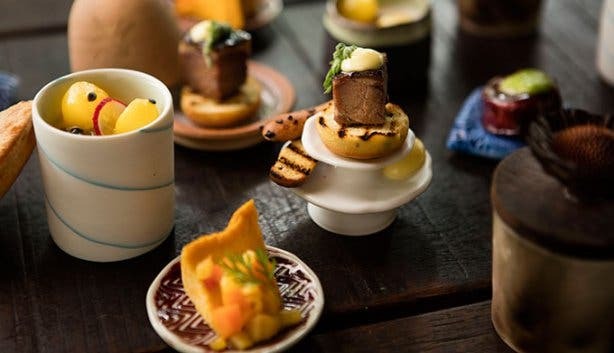 While the valley may be best known for its vonderful vino, Franschhoek also offers some of the best garden-to-plate culinary experiences in the country. Experience it at the food and wine pairing at La Motte wine estate – it’s where you’ll discover the best of both culinary and oenology worlds. 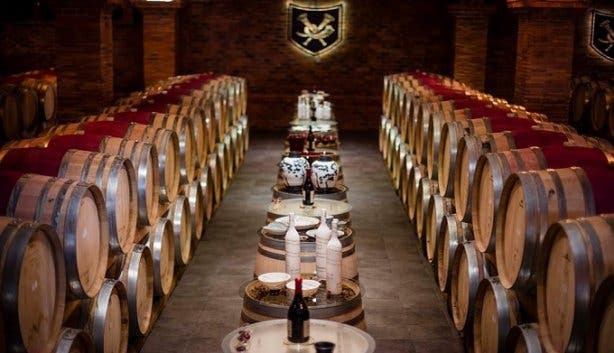 La Motte produces some of the country’s best wine, including their La Motte Millennium, the La Motte Pierneef Shiraz Grenache and the La Motte Méthode Cap Classique, to name but a few. 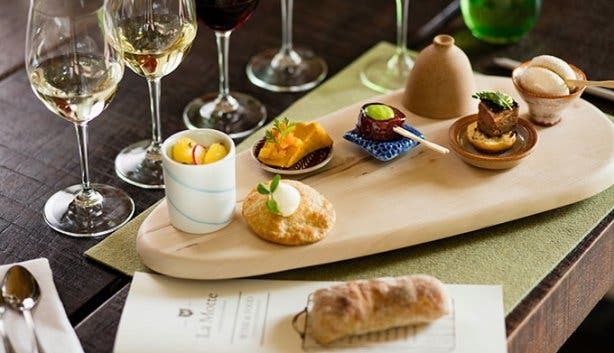 Even though we know exactly why people rave about La Motte’s wine, many are yet to discover La Motte’s exquisite food. 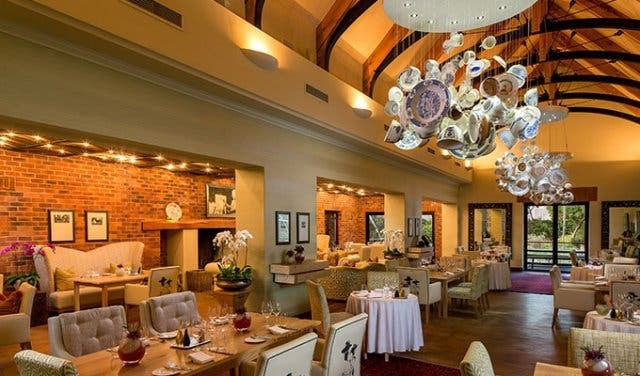 Your culinary journey starts at the hands of Executive Chef Michelle Theron, who has been with La Motte since the day the Pierneef a La Motte restaurant opened back in 2010. Over the years she has worked her way up in the kitchen to where she today holds the top spot. Before joining La Motte she cooked up storms in kitchens around the Winelands, as well as in Cape Town. Presented in a private room in the farm’s elegant tasting centre every Friday, the one-of-a-kind pairing matches five bite-sized portions of haute cuisine with five of the winery’s highly rated reds and whites: the La Motte Sauvignon Blanc, Chardonnay, Shiraz, Cabernet Sauvignon and Millenium (the Bordeaux-style red blend). This approach helps people to separate out and identify the basic flavours that exist in more complex food combinations, and it also helps aspiring connoisseurs understand the fundamentals of a good food and wine match. 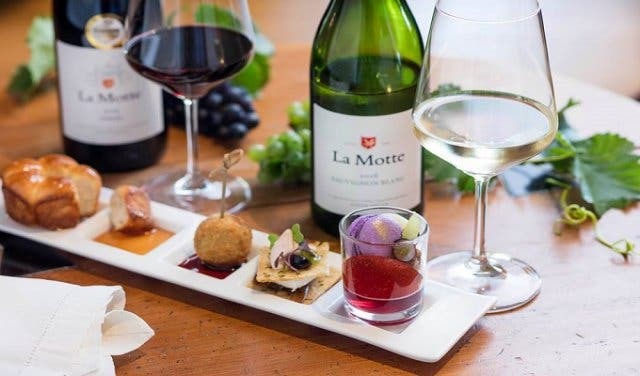 Guests can look forwarding to sizing up the acclaimed kitchen's delectable creations, like the famous Cheese Soufflé, with a complimentary vino counterpart (in this case, the La Motte Chardonnay). While the wine tasting selection rarely changes, the food offering rotates based on the seasonal menu in the restaurant. The food and wine pairing involves the combination of sensational food and wine. The five tastings of food is prepared by Michelle, of course, while the wine tasting part of the experience is guided by a very knowledgeable wine ambassador, who promises to educate and entertain patrons on the finer things in life! 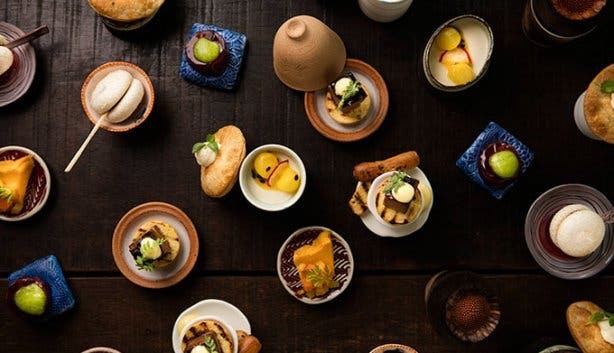 Without revealing too much, as this food journey should really be experienced in all its glory, Pierneef a La Motte, along with Chef Michelle has become known as the go-to destination for a unique, on-trend take on traditional Cape Winelands cuisine. Expect the influence of Jacob Hendrik Pierneef (1886–1957) to grace your plate as the dishes are served in a rather artistic manner. Together with Cellarmaster Edmund Terblanche, Pierneef a La Motte ensures that every dish creatively complements the estate’s fine wines. 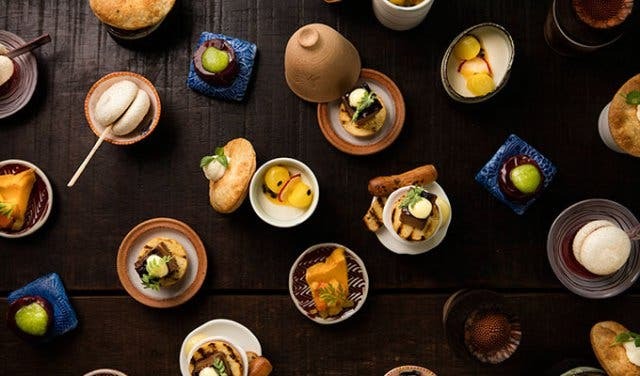 This unique culinary experience costs R200/p and booking is essential. 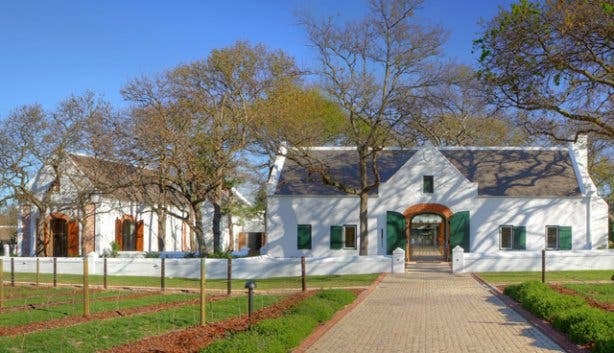 Patrons will need to book at least two days in advance and an upfront payment for the food and wine pairing at La Motte is mandatory. The experience is available for groups ranging in size from two to 15. Note: The food and wine pairing is open on Fridays from 10am and La Motte Restaurant is closed on all Christian religious holidays.